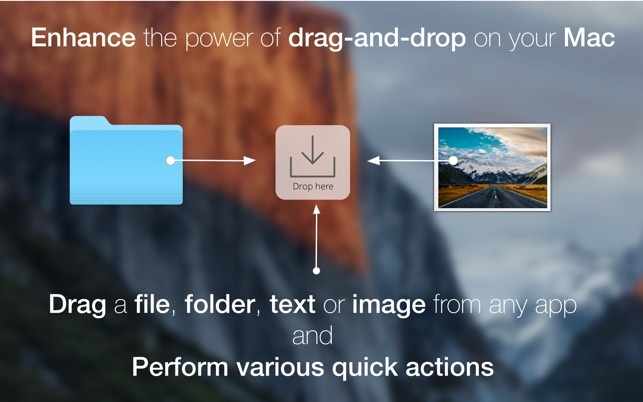 It works with almost any selectable and draggable content from any app on your system and suggests various quick actions, based on the data you give it. FilePane is not bound to Finder only, as it may seem at first glance. It works with other apps, too! 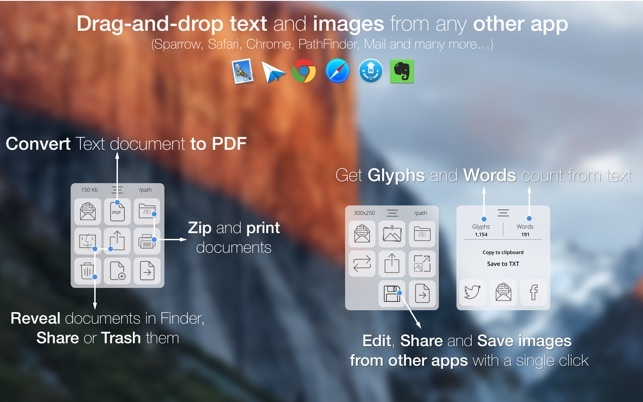 For example, in Safari, Chrome or other, you can easily save, edit, share, e-mail any image on the fly. 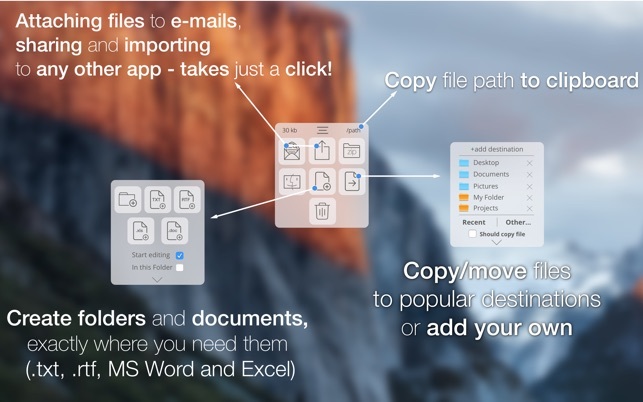 Or quickly sort/save/share/edit/ organise your e-mail attachments. FilePane is now ready for Mojave. Please let me know, if it misbehaves in any way! 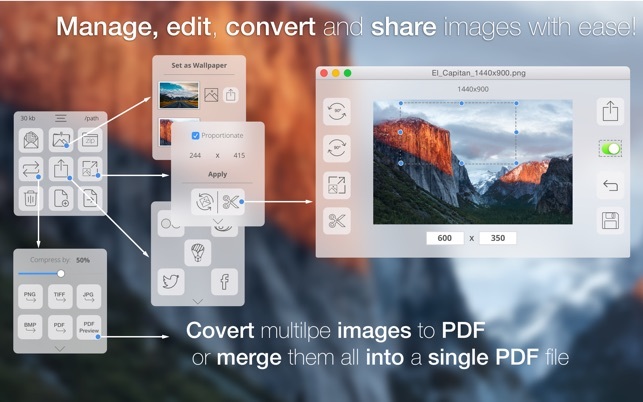 Recasto - convert PDF to Images & Images to PDF!